More than 12 million children in Africa, Asia and Europe have better schools, teachers and learning materials, thanks to a successful 13-year partnership between the IKEA Foundation, Save the Children and UNICEF. Thanks to the support of IKEA co-workers and customers, we donated €88 million for children’s educational projects! Since 2003, we have donated €1 for every soft toy sold during the Soft Toys for Education campaign in IKEA stores in November and December. Thanks to the support of IKEA co-workers and customers, the campaign raised €11.1 million in 2015 alone. It has enabled us to donate a grand total of €88 million throughout the entire partnership. And with the long-running campaign wrapping up at the end of 2015, watch this space for news of our next exciting project! Our partners have used the money to improve child protection and help schools become more child-friendly. This means making sure teachers are well-trained and know how to include all children in lessons—girls, boys, children from ethnic minorities and those with special needs. Naima wants to be a teacher herself when she grows up. School will give her a better chance of achieving her dream as it has for Nokulunga, a dentistry student from South Africa. Nokulunga, who comes from a township, never thought she would go to university but is now in her second year at the University of Pretoria. The turning point came when she took part in TechnoGirl, a UNICEF Schools for Africa career mentorship programme, which awakened her interest in the sciences. In 2014 and 2015, new collections of toys designed by kids helped even more children get the quality education they deserve. 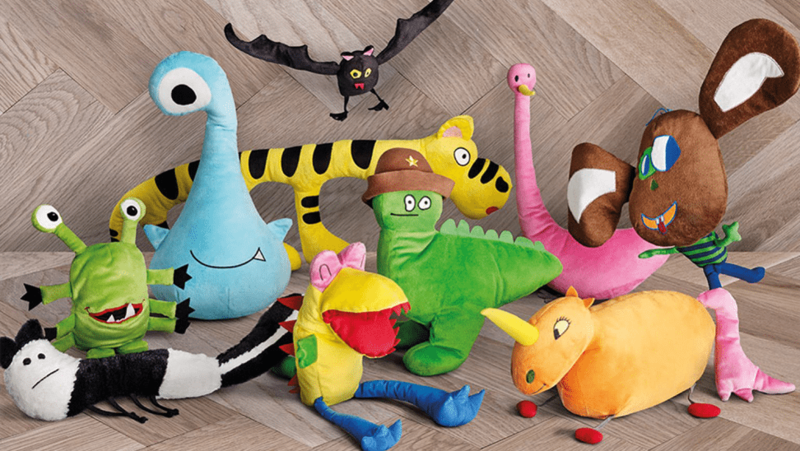 IKEA Family invited customers’ children to design their dream soft toy. Watch this film to follow the story of how these soft toys, created by children, came to life. The projects improve education in Asia, Africa and Europe. With the funding, our partners help schools become more child-friendly with well-trained teachers for all children, girls and boys, including those from ethnic minorities and those with special needs.